We were fortunate enough to be have been able to purchase a beautiful piece of property very close to town but far enough out in the country to have everything we want or need. We our still and I think will always be working on improvements. We have great ponds and are in the process of developing more training ponds and habitat for wildlife. We have over 40 acres of land for training and access to other private lands with ponds and fields to train and work dogs. We also have access to thousands of public land to work dogs and that is what makes our area so great. We have lots of great water which is hard to find to train on in Idaho. 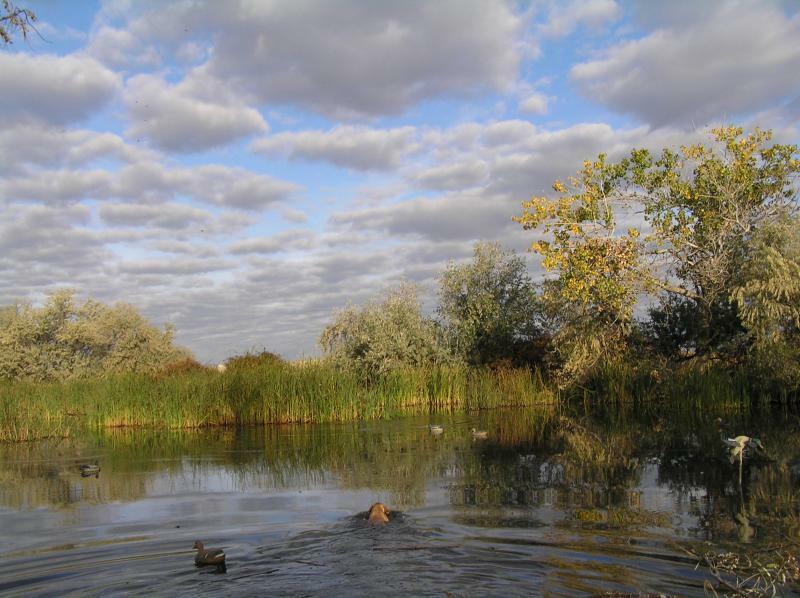 We have great duck hunting on our place which offers great work for the dogs in real hunting situations.